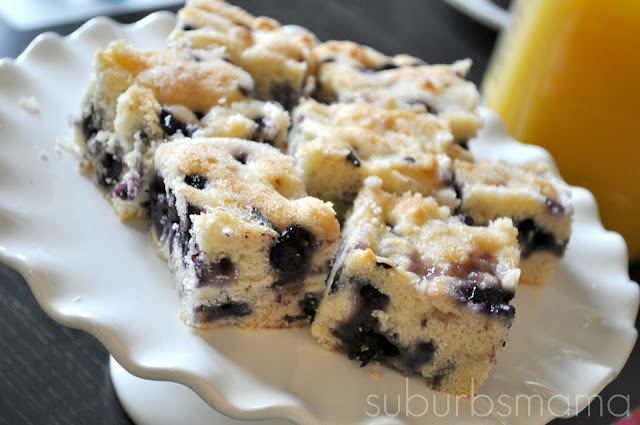 This is a delicious and easy to make coffee cake that is wonderful for breakfast. 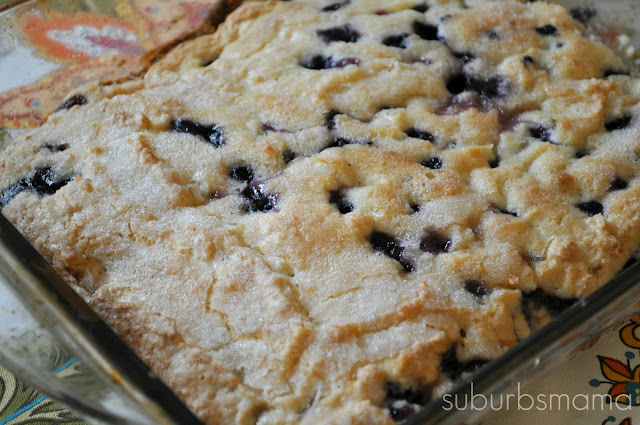 When ever blueberries are in season I make this with fresh berries, but this works just as well with frozen berries. Cream the butter with lemon zest/juice and sugar until light and fluffy. Add the flour, baking powder, salt and buttermilk until well combined. Fold in the blueberries. Grease a baking pan, spread batter into pan. Sprinkle 2 TB of sugar on top. Bake for 45 minutes, or until nicely browned and a toothpick inserted comes out clean.